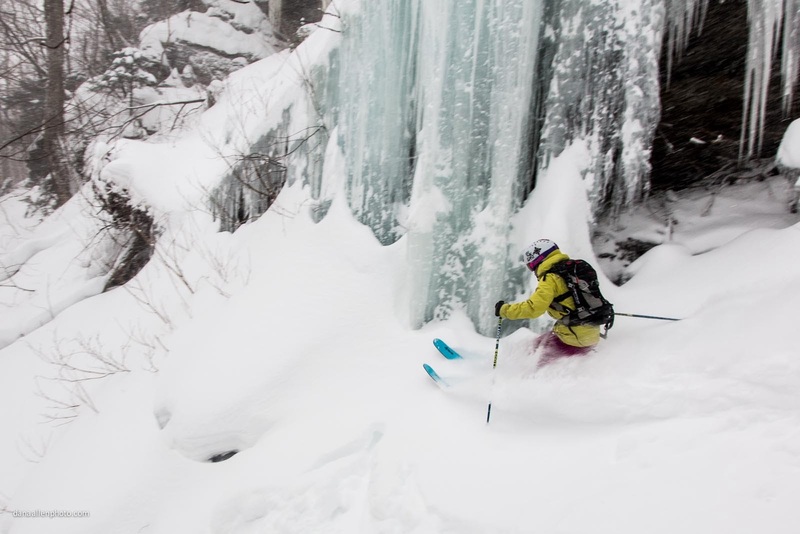 What does it mean to ski backcountry on the east coast? I think that the enjoyment of this recreation is lost on many people who are used to the open peaks of Colorado and 3,000 vertical foot tree lines of British Columbia, but for me it is a simple pleasure that must be embraced in all of its Hobblebush covered glory. I am lucky to live close to Mt. Washington where I can get my big mountain fix if I need to, but more often, I am wandering the woods of Stowe, searching for lines that are hiding just out of sight. 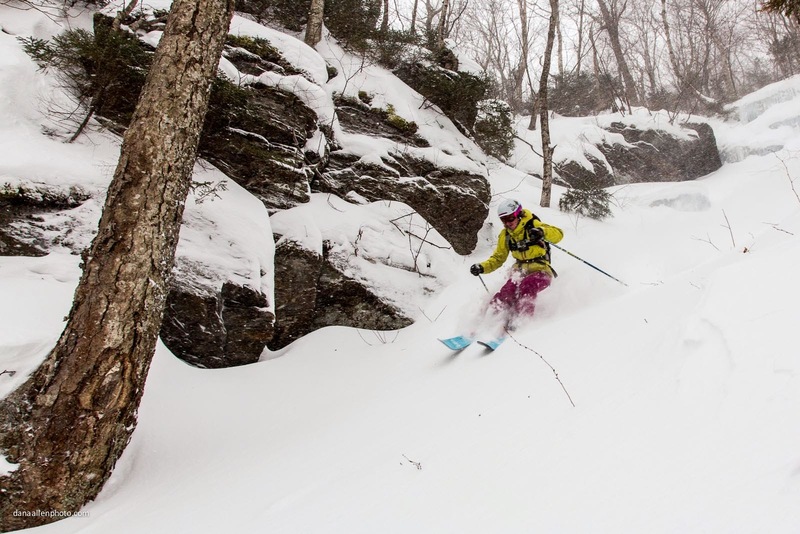 Living in Vermont, I have honed my powder sense, which I consider to be my personal sixth sense. I have gotten very good at seeing light through the tree tops, an indicator of a good line just around the corner, and judging which trees all of the snow has blown into during the previous night’s windstorm. 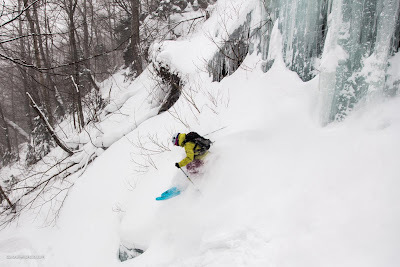 This search for the perfect line, or a solidly mediocre one in most cases, is my adult version of treasure hunting and there is nothing more rewarding than wiggling through dense coniferous woods until the sky opens up and the untouched powder unfurls in front of me like my own personal red carpet. Most people think east coasters are insane to put all that work into finding snow that is so abundant in the west, but its not as fun if you don’t have to work for it at all. It almost feels like cheating really. Don’t get me wrong, I really enjoy skiing out west and want to ski neck deep pow just as much as the next person, but I have come to embrace and love the schwack (dense underbrush) and precision wiggling. I figure I am just honing my skills for my next profession, being a ninja.